There are many things that a takeaway venue or restaurant needs to be a success and promotion and marketing can always lend a helping hand. However, for a place to develop a long term reputation, it needs to be able to offer great food at a fair price. The ingredients used and the skill of employees in the making and serving the dishes will be of great importance of the equipment cannot be overlooked. Any business selling a lot of pizzas needs to consider the benefits of commercial pizza equipment to ensure that they are providing an excellent service to customers. First of all, and this is especially true for takeaways, though it can also be applied to pubs and pizzerias, there is a need to make the pizzas quickly. Pizza is not quite fast food but customers are not going to be too happy at too long a waiting time. Also, cooking pizzas at a higher temperature for a shorter period of time, especially over stone bases enhances the flavour and this is an area where the best quality commercial pizza oven products can positively impact on the speed of delivery and service. Every restaurant and takeaway venue needs to be able to provide consistent pizzas. This means that the ingredients need to be the same and the style and nature of the pizza must be the same too. If a consumer doesn’t know what they are going to get, they are unlikely to come back to a venue too often. This is where using a pizza dough mixer and a pizza dough roller will help to ensure that there is a better level of consistency in the bases for all pizzas. If a takeaway or restaurant is busy, this is a good sign but the venue needs to be able to cope with this high level of demand. This is why there needs to be equipment that can work quickly and can handle a number of orders at one time. The modern range of commercial pizza oven products will have space to handle a number of pizzas at the same time. This is very handy if a family or large group come in at the one time and all order pizzas. There is often a high turnover of employees at takeaways and restaurants and there is a need to ensure that all new employees are trained to use the different pizza equipment. Therefore, the simpler an oven or dough roller is to use, the sooner employees will become skilled in its operation. Again, the consistency of quality is crucial in making pizzas and helping to balance out the different skill-levels of employees will help every venue to offer a better service to their customers. In order to make the pizza as attractive as possible, the equipment needs to provide value for money. This doesn’t necessarily mean looking for the cheapest pizza equipment options but there is a need for restaurants and takeaways to ensure that the price they pay for their equipment creates value. If the equipment is used a lot of times and it provides a consistent output every time, it is acceptable to pay a higher price because this will help to increase the number of long-term sales that the venue will make. One thing that can really help a venue to stand out from the rest of the market is to use their own recipes when making their pizzas. Even adding a little something extra to the dough or pizza base can help the company to stand apart from their rivals, which will give them the edge needed to make more sales. In a highly competitive industry, sometimes the smallest advantages can make a difference and being free to be creative is a great asset for any pizza venue. This is where the quality and nature of their pizza making equipment will go a long way to helping them stand apart. If the pizza dough maker allows the base dough to be added to with little flourishes such as herbs, it can add an extra zing which may be all that is needed to ensure that people buy from here most often. There are many great commercial pizza products to choose from which can help firms to please their customers and to keep demand high for their pizzas. 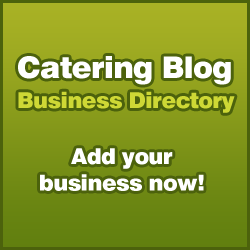 The above is a guest post by Catering Equipment Services.